One of the preeminent Chicago studios was founded in 1907 by George K. Spoor and Gilbert M. Anderson, who soon christened their studio Essanay (as in “S” and “A”). The first star of Essanay was its co-founder, Anderson, who had gotten his start working with one of the first film directors, Edwin S. Porter. He appeared in Porter’s groundbreaking 1903 Western The Great Train Robbery, and served as a writer, director and actor in other short Westerns before partnering with Spoor. At their new studio, Anderson created the character “Broncho Billy,” eventually starring in more than one hundred popular shorts featuring the cowboy. It was the success of Broncho Billy that largely led to the studio opening a new branch in Niles, California (later Los Angeles) in 1912, an area which provided the perfect backdrop for Western filming. Still, for several more years, the Chicago branch remained the center of Essanay’s film production. A number of future stars made films at the Chicago studio: most notably, Gloria Swanson got her start there, along with her future (first) husband, Oscar-winning actor Wallace Beery. Silent-era stars such as Francis X. Bushman, Ben Turpin, and Rod La Rocque (among many others) were staples in the studio’s Chicago productions. But the biggest “get” for Essanay was established comedy star Charlie Chaplin, who was lured to the studio with the promise of a bigger paycheck and the freedom to make films his own way. Chaplin only filmed one movie at the Chicago studio (His New Job, 1915) before moving to California. He made another fourteen films for Essanay, including the seminal feature The Tramp (1915), before moving to Mutual in 1916. 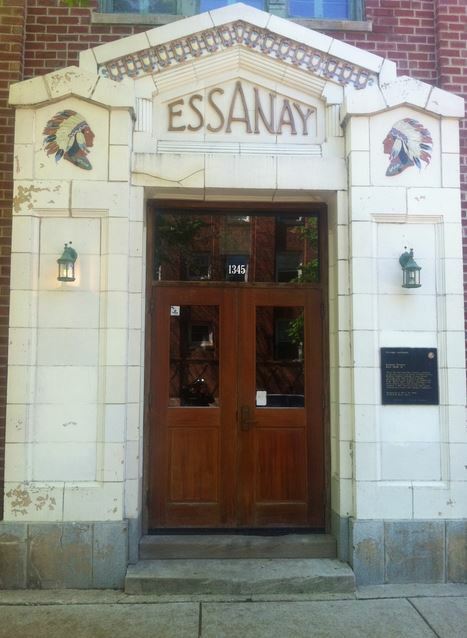 Essanay closed its doors in Chicago in 1918 (having stopped production in California in 1916). Today, the Essanay lot is home to the city’s St. Augustine College. 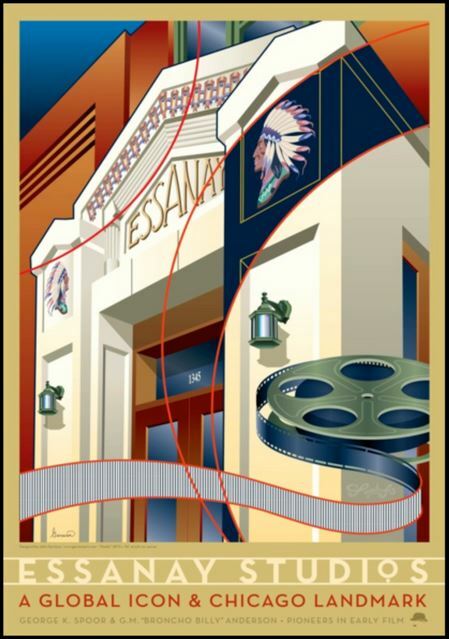 Essanay Studios has been designated a Chicago landmark, and now a movement is afoot to raise funds to restore the historic structure and preserve this important piece of film history. The campaign to preserve and restore Essanay Studios will continue for another month–donations will be accepted through Indiegogo until December 3rd. You can find more information about the fundraising campaign–and the history of Essanay Studios–on the Indiegogo page and the studio’s website, or you can follow Essanay Studios on Twitter and Facebook for more updates. This worthy preservation cause needs your help, so please donate what you can, and make sure to spread the word. The early days of animation at Paramount, courtesy of the Fleischer brothers.